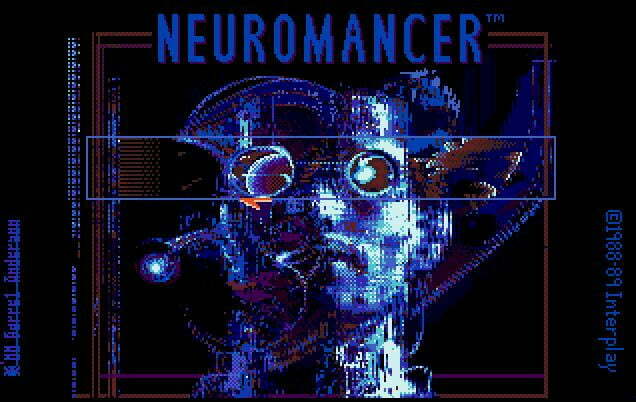 We’ve been hearing rumblings about the upcoming film adaptation of William Gibson’s seminal 1984 cyberpunk novel Neuromancer for years, but for the most part our collective knowledge on the project consists of “it enters production sometime this year,” “the film is estimated to have a budget close to $60 million” and “it’s being directed by Vincenzo Natali, the auteur who helmed Cube, Splice and one of the few good Ginger Snaps movies.” As of this morning however a small glimmer of possible casting news emerged from the film that should have even the most cynical fan of the novel warily excited for this movie. According to MovieHole, the producers of Neuromancer have sent out offers for two of the lead roles. Assuming the two actors were to accept, Liam Neeson would be playing the role of Armitage and Mark Wahlberg would be portraying protagonist Henry Dorsett Case. Henry Dorsett Case is a low-level hustler in the dystopian underworld of Chiba City, Japan. Once a talented computer hacker, Case was caught stealing from his employer. As punishment for his theft, Case’s central nervous system was damaged with a mycotoxin, leaving him unable to use his brain-computer interface to access the global computer network in cyberspace, a virtual reality dataspace called the “Matrix”. Unemployable, addicted to drugs, and suicidal, Case desperately searches the Chiba “black clinics” for a miracle cure. Case is saved by Molly Millions, an augmented “street samurai” and mercenary for a shadowy ex-military officer named Armitage, who offers to cure Case in exchange for his services as a hacker. Case jumps at the chance to regain his life as a “console cowboy,” but neither Case nor Molly know what Armitage is really planning. Case’s nervous system is repaired using new technology that Armitage offers the clinic as payment, but he soon learns from Armitage that sacs of the poison that first crippled him have been placed in his blood vessels as well. Armitage promises Case that if he completes his work in time, the sacs will be removed; otherwise they will dissolve, disabling him again. He also has Case’s pancreas replaced and new tissue grafted into his liver, leaving Case incapable of metabolizing cocaine or amphetamines and apparently ending his drug addiction. Alright, now that we’re all caught up, let’s cover our nascent worry about the fate of this movie. We can all agree that Neuromancer is a very important novel, right? Its description of a futuristic online-enabled world is so prophetic that we’re still finding new ways in which our reality mirrors the one Gibson imagined back in the 1980s. Likewise, the novel was one of the key creative works that originally defined the cyberpunk movement. Its influence can be seen in huge numbers of movies, video games and novels to this day, and those who have read it have nearly universal praise for every aspect of the tale. This movie adaptation is attempting to appease the most intensely pedantic of geek audiences in existence, and unless it creates a flawless simulacrum of what each individual reader was imagining while poring over the tome, people will have big problems with the flick. That said, we think Liam Neeson is a great choice for Armitage. For that matter, we think Liam Neeson is a great choice for just about any role. The man can certainly act, and he’s shown a strong willingness to take on roles that are firmly rooted in geek affection. Propers to the production team for reaching out to him. Wahlberg however just doesn’t seem quite right for the role of Case. Not that he’s a bad actor — given proper direction and a quality script Wahlberg is easily the most talented member of The Funky Bunch — he’s just a bit too clean to inhabit the identity of Case. Maybe we’re alone here, but we imagined Case as a futuristic analogue of the noir detective. He’s great at what he does, and certainly the hero of the piece, but he’s not actually a good guy. Everything is shades of grey in Case’s world and he’s simply trying to ensure that he comes out ahead in the end. Maybe Wahlberg could do it. Anything’s possible. Given the option though we’d far prefer the role go to Joseph Gordon-Levitt or … oh, I dunno … how about Christian Bale? He could probably make it work too.